Over 100 millions fans, Photo Grid is the most popular photo collage maker. you can enjoy with your friends and families by sharing works to popular photo social networks. Support sharing 60-second videos to Instagram. 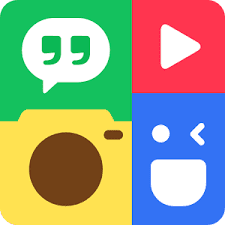 Support sharing 30-second videos to PhotoGrid community.